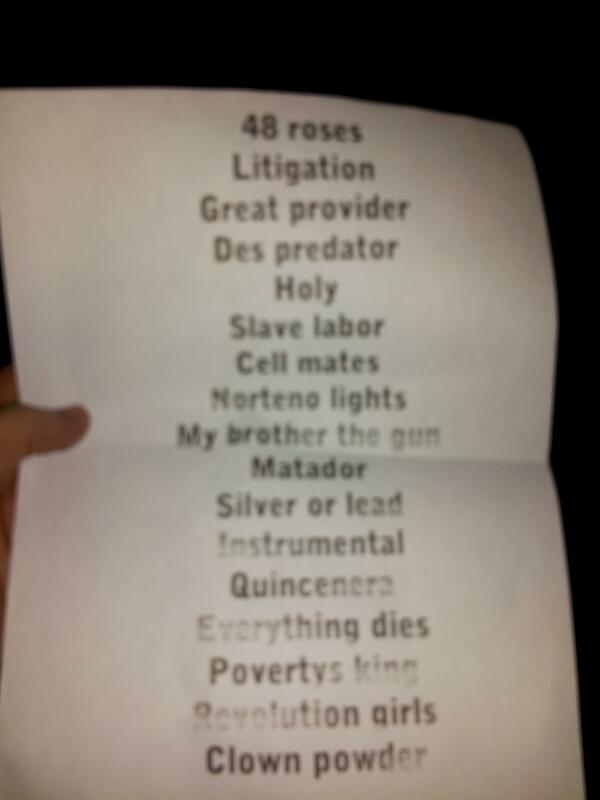 Mariachi El Bronx | 9·14 ·12	|	Setlist |	Las Vegas | Do You Hear The Music? Awesome show this evening at The Cosmopolitan for Mexican Independence Day Weekend. Two more nights to check them out party people. ← Five For Friday: Mariachi El Bronx, @LaborWines, #SNL, @DJVice, Happy Birthday Guadalupe!